According to UNEP, the United Nations Environment Programme, 90% of all ocean debris is plastic. Besides, there are 46,000 plastic fragments in every 2.5 square kilometers of the surface of these environments, most of which come from dry land, and 27% are made up of supermarket bags. Studies show that for every kilo of seaweed and plankton found in the oceans, there are at least six kilos of plastic. Considering these organisms as the main responsible for oxygenating the planet and feeding food chains, it is not at all optimistic to understand the problems that plastic has caused. We need a better and efficient cyclical approach to change our current way of living "take-discard" relationship with indestructible materials rejected in nature. Checking the article published by Forbes: recycling is also not an efficient measure: "most plastics produced for packaging FMCG are not recyclable, and even if they are, we don't recycle them. Only 14% of plastic packaging gets collected for recycling which then goes through a sorting process and in the end, only 5% of all plastic is reintroduced to the production cycle". Since we are not recycling this destructive environmental material, we need solutions to replace plastic. Designers and companies are in this race against time to produce bioplastics and replace the plastic produced from oil. With extensive search to find a new material that has the same positive aspects of the plastic made from petroleum: cheap, practical, durable, lightweight but also eco-friendly and bio-degradable. In a short time ago when the new solutions are found their production was still on demand and in small quantities, and again, their cost was higher than non-biodegradable plastics. The significant change will occur when big corporations opt for bioplastics too. However, for the demand for this new material to happen, it must undergo a significant increase. This change will possibly not have an immediate effect since the residue of plastics in nature is still very large. But it will be a great asset in the future. But how to find them and buy products that not case such negative impact in the world? A design studio based in Berlin and Bratislava developed a biodegradable plastic made from plants. A great example that it's possible and affordable to get bioplastics products. Showing that there is a drive to change this impact and we as consumers can opt for more ethical and sustainable solutions. Crafting Plastics! Studio was founded in 2016 by product designer Vlasta Kubušová and production designer Miroslav Král. Since then the designers have been concerned with the use of plastics and how to create solutions that really make sustainable products possible. They developed NUATAN, with collaboration between a team of prof. Alexy - material scientists from Slovak University of Technology and Panara company. — explain the designers of the new material. "NUATAN is made of 100% plant-based biopolymers Polylactic acid (PLA), and Polyhydroxybutyrate (PHB) produced out of plant-based resources such as corn starch, potato starch, used cooking among others". NUATAN is biobased and biodegradable material that can be considered as a competitor to oil-based plastics in terms of properties and processability. The material can withstand temperatures of over 100 degrees Celsius and has an estimated lifespan of 1-50 years depending on blend composition. When put in an industrial composter, it degrades into water, CO2 and biomass. The second generation of NUATAN, currently in development, will biodegrade in home compost, soil and ocean water." Proving that the material developed for the Crafting Plastics! 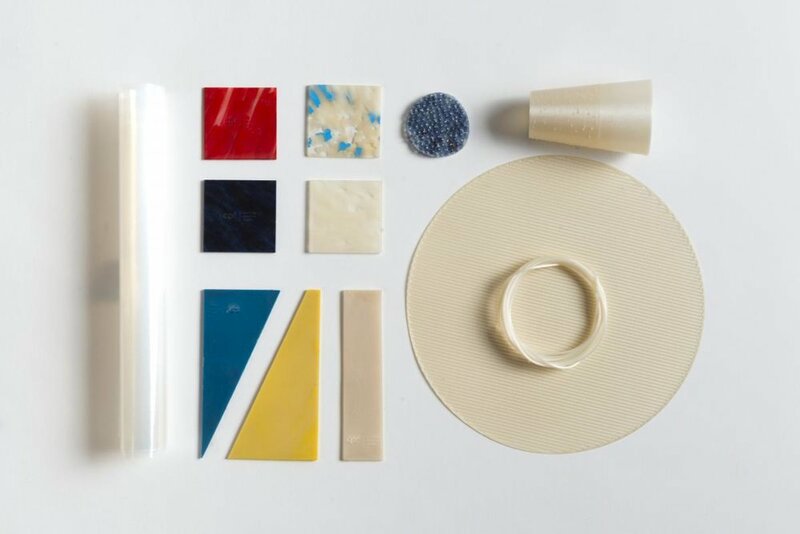 Studio is a substitute that aggregates the same values of plastics made from oil, but with even more positive aspects for being made of 100% renewable raw resources, biodegradable and leaving no waste footprint in nature. 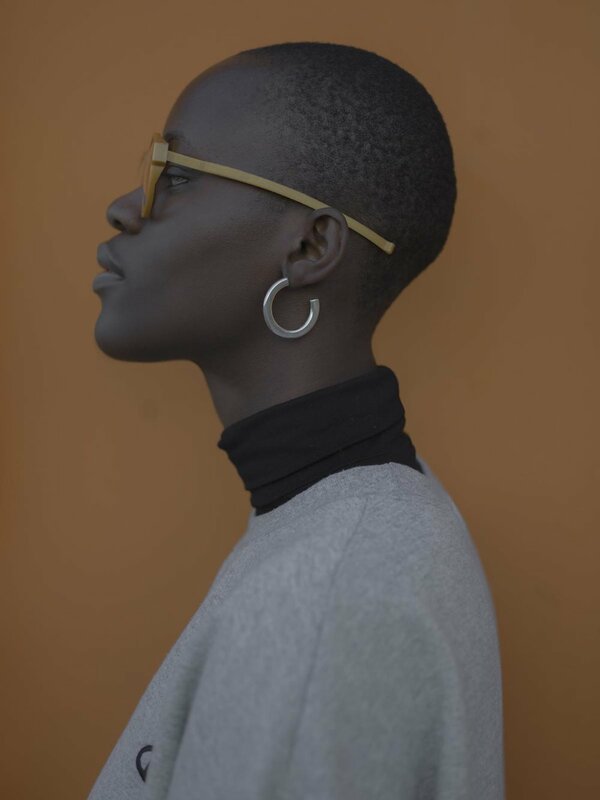 The designers have created an eyewear line which not only has style but also a significant advantage that does not damage nature.